According to E! News 29-year-old actress Megan Fox is pregnant with her third child. She stepped out on the red carpet for CinemaCon dressed in a tight Versace dress which showed a baby bump. Megan’s rep had no comment. 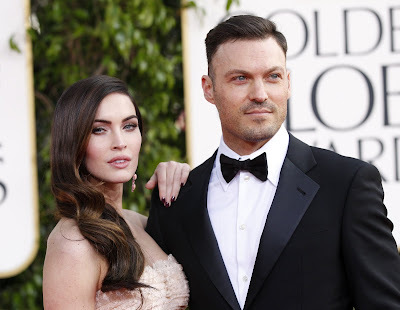 In August of 2015, Megan Fox filed for divorce from actor Brian Austin Green, her husband of five years citing “irreconcilable differences.” However, both of them have been seen on numerous occasions doing family things together after she filed for divorce. The two actors have two children together, sons Noah Green and Bodhi Green. The Anger Management actor even asked for alimony when she filed for a divorce which is still pending.